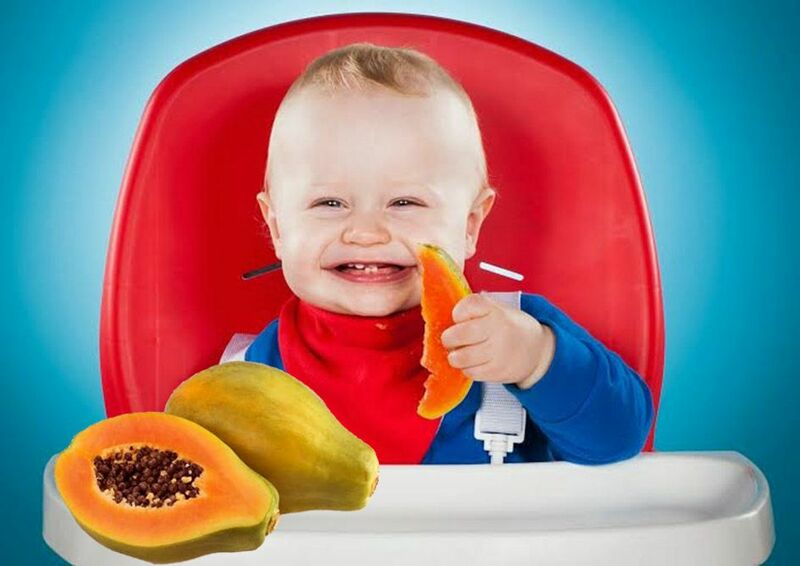 Papaya is a wonderful tropical fruit to add to your baby’s diet. The fruit contains calcium, enzymes, fiber, folate, minerals, lutein, potassium, and vitamins. Vitamn A, C, B complex, E, and vitamin K are the vitamin which contains in papaya. Papaya can be consumed by infants over 1 year and the flesh of a ripe papaya should be sweet and juicy with a buttery texture and a unique taste to the baby. The presence of various vitamins and minerals in papaya makes it an ideal candidate for children and even infants under the age of 1 year to consume papaya. These vitamins and minerals are very much essential in bone development, brain development, immune development and the development of the whole body, between the tender months of infancy. Enzyme papain that contains in papaya can help the baby to Accelerate Process Of Digestion. Enzyme papain can break down proteins into arginine. This enzyme also can break food to a variety of amino acids or proteins. This process of break down is to make the nutrition be absorbed by the body easier. Papaya consumption is also helpful in controlling constipation in the body. If your child is suffering from constipation, then give them papaya slices in the evening and after dinner. The dietary fiber present in papaya is ideal in clearing off bowels. High amounts of calcium and magnesium content in papaya helps in proper bone and teeth formation of your child. Iron contained in papaya keeps up the haemoglobin content and maintains healthy red blood count.